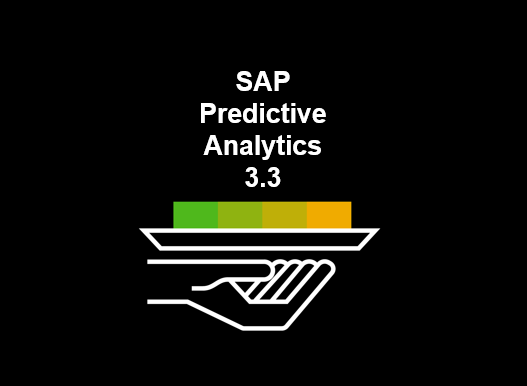 We are delighted to announce the release of SAP Predictive Analytics 3.3. This new release is available for download on SAP Software Center. Automated Analytics provides a set of machine learning functions such as classification, regression, key influencers, clustering, forecasting, recommendation and link analysis to easily answer business questions with no need for extensive training or data science skills. Python is an open-source programming language widely used within the data science community. Through its Python API, SAP Predictive Analytics 3.3 allows developers to build powerful machine learning applications. They can now use Python as a scripting language to create, train, debrief and apply automated models. The new API makes automated functions available not only within a Python script but also within a web-based interactive computational environment like the Jupyter Notebook. Predictive Factory is a web-based application that simplifies, accelerates and automates the predictive modeling process. Predictive Analytics integrator (PAi) is a framework for applications built on SAP HANA to use and manage predictive models. It is a component of SAP Predictive Analytics. With version 3.3, Predictive Factory users can seamlessly publish customized classification and regression models to a PAi server for integration into SAP business applications such as SAP Fraud Management or SAP S/4HANA Sourcing and Procurement. SAP Predictive Analytics 3.3 comes with security features and specific data-protection functions to support compliance with the relevant legal requirements and data privacy. Predictive Factory delivers new capabilities to implement a data retention policy and limit the accumulation of unnecessary data storage. Administrators can schedule the automatic daily deletion of data. A new log file helps them trace data deletion activity. Administrators can also keep track of active user accounts and user access to forecast and signal analysis data. Before you go and download the 3.3 release let’s see other features it brings. You can deploy Predictive Factory 3.3 on Linux systems as well as Windows. User authentication is now consolidated with extended LDAP support in Predictive Factory. The SQL scoring equation, for classification automated models, includes new prediction outputs like the decision and the contributions.